Two surprise populist victories in 2016—the United Kingdom’s dramatic June decision to leave the European Union (EU) and Donald Trump’s widely unanticipated success in the November U.S. presidential election—have sparked an identity crisis in the West. These victories challenged a presumed consensus on the shared values of liberal democratic societies. Agreement on principles such as openness to immigration, diversity, and international cooperation, for so long unquestioned, had quietly crumbled. Though his candidacy was not taken seriously by much of the policy, political, and media establishment for most of the campaign, Trump successfully appealed to the anxieties of voters who felt left behind amid rapid societal change and betrayed by out-of-touch elites. These anxieties also resonated across the Atlantic, with deep euroskepticism and the desire to reduce immigration levels driving the decision by British voters to exit the European Union. While campaign pledges made during the U.S. election and the Brexit referendum may differ significantly from what political leaders realistically will be able to deliver in terms of stepped-up immigration controls and enforcement, these victories have symbolic power that may embolden other populist movements. The Ascent of the Far Right: New or Cyclical? 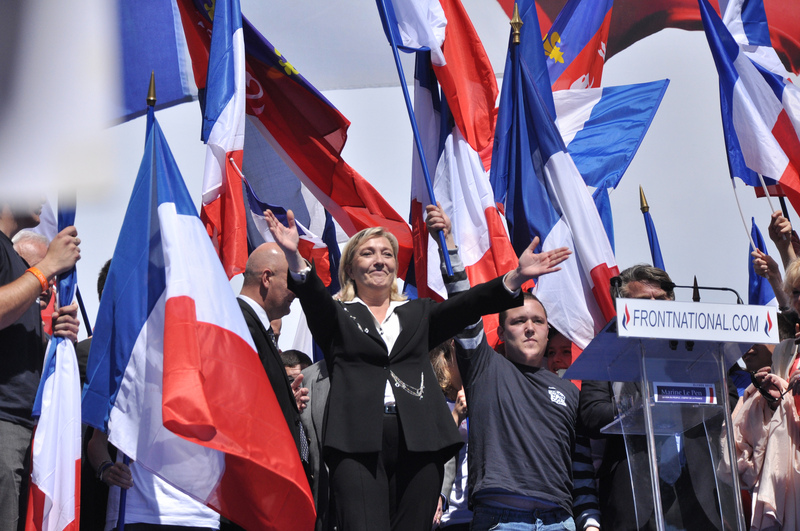 Throughout Europe, radical-right (and in some cases explicitly xenophobic and/or Islamophobic) parties have made huge gains in regional and national elections. The right-wing Alternative for Germany (AfD), long considered a fringe movement, is now represented in ten of the 16 German state parliaments, and is vying for its first federal victory in 2017. The ruling government coalition in Denmark now depends on support from the anti-immigration Danish People’s Party (DPP), which became the second-largest party in the country in 2015, to pass legislation in Parliament. And in historically open Sweden, recent opinion polls show the far-right Sweden Democrats polling at more than 20 percent—seemingly riding a backlash against the unprecedented numbers of asylum seekers the country received in 2015 (more than double the per capita number seen in Germany). These political gains have exposed widening fissures in immigrant-receiving societies, between natives and immigrants, rural and urban communities, young and old residents, and winners and losers of globalization. While most explanations for the rise of populism have focused either on economic insecurity or cultural concerns, this new wave is a mixture of both; populists have tapped into an acute sense of resentment among people who feel they are falling behind while others progress—and these “others” are most often described as either immigrants or minorities. The result is a call to regain control, seen through Donald Trump’s promises to build a wall to keep unauthorized crossers out and ban Muslims, and more broadly through his appeals to the “forgotten working people;” or Marine Le Pen’s call for France to “regain mastery of its borders” and return to complete cultural assimilation in defense of its own national interests. In both Europe and the United States, politicians were able to weave together cultural and economic concerns into a larger narrative about threats to national identity, stoking fears that voters are being left behind in a country they no longer recognize. It is important to note, though, that populism is not new. In Europe, far-right, populist parties have been fixtures since the 1980s, and their gains are neither consistent nor universal. The Freedom Party (FPO) in Austria, whose candidate was within 1 percent of victory after a presidential runoff election in May, lost to the Green Party by 7 points in a second runoff in December. Fears that Austria would become the first Western European country to elect a far-right head of state since World War II did not materialize, but it is clear that the FPO still enjoys widespread support (notably growing the fastest among voters under age 30). And in Switzerland, the anti-immigration Swiss People’s Party has seen similar longevity, enjoying more than 20 percent of the vote in each federal election since 1999. What may be new is the ability of these parties to push the needle on immigration policy. While their inability to form part of a government’s ruling coalition has often been cited as an important constraint on their influence, many have succeeding in pushing for immigration restrictions from the outside. The United Kingdom Independence Party (UKIP)—despite only holding one seat in Parliament—was a key player in precipitating the call for the Brexit referendum and seeing the Leave campaign through to victory. Across historically open Scandinavia, countries have reduced the benefits available to refugees in the face of unmanageable flows. And Trump’s success in the U.S. election may be the domino that topples a long line of other mainstream parties facing upcoming elections. In the spring of 2017, the National Front’s Le Pen is expected to be a strong contender for the French presidency, and the Dutch Freedom Party, led by Geert Wilders (who has appropriated the hashtag #MakeTheNetherlandsGreatAgain), is polling increasingly well ahead of the March 2017 general election. Although immigration may not be the sole or even principal cause of the structural changes destabilizing societies, it has become the face of people’s fears. Immigration has also served as a convenient scapegoat: more tangible than the nebulous forces of globalization, and a common target for otherwise disparate pockets of discontent. For all of these reasons, opposition to immigration has become a proxy for the desire to regain control over the things people hold most dear, even if that control proves elusive. Aisch, Gregor, Adam Pearce, and Bryant Rousseau. 2016. How Far Is Europe Swinging to the Right? New York Times, December 5, 2016. Available online. Beauchamp, Zack. 2016. White Riot: How Racism and Immigration Gave Us Trump, Brexit, and a Whole New Kind of Politics. Vox, November 4, 2016. Available online. Foreign Affairs. 2016. France’s Next Revolution? A Conversation with Marine Le Pen. Foreign Affairs, November/December 2016. Available online. Hamilton, Tracy Brown. 2016. Will Geert Wilders’ Rise Change the Face of the Netherlands? World Politics Review, November 17, 2016. Available online. Inglehart, Ronald F. and Pippa Norris. 2016. Trump, Brexit, and the Rise of Populism: Economic Have-Nots and Cultural Backlash. Harvard Kennedy School Faculty Research Working Paper Series, Cambridge, MA, August 2016. Available online. Mudde, Cas. 2015. Populist Radical Right Parties in Europe Today. In Transformations of Populism in Europe and the Americas: History and Recent Trends, eds. John Abromeit, Bridget María Chesterton, Gary Marotta, and York Norman. London: Bloomsbury. Available online. Müller, Jan-Werner. 2016. Austria: The Lesson of the Far Right. New York Review of Books, July 25, 2016. Available online. Trump, Donald J. Transcript of immigration policy address given by Republican presidential nominee, Phoenix, August 31, 2016. Available online.